Germany; Late 15th Century. Latin Text; Semi-Gothic Script. 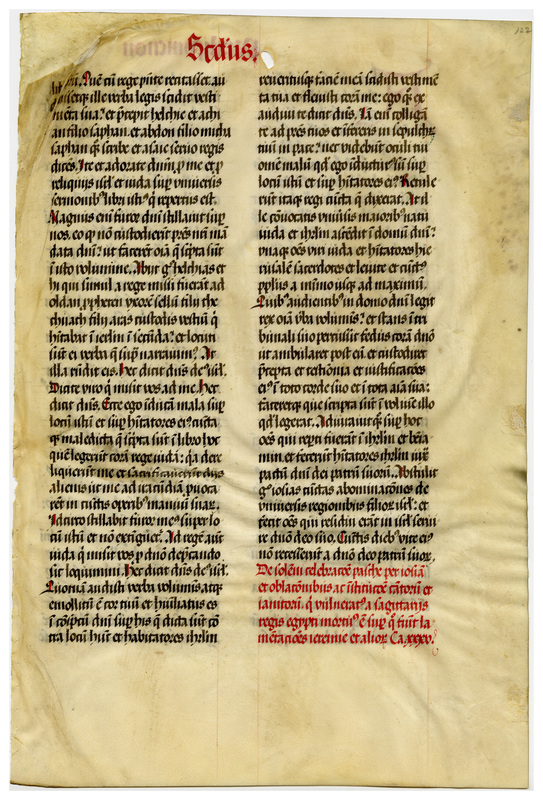 The vellum is slightly yellowed and thick, bending easily. There is only vertical evidence of lining, which is done in red; the bulk of the text is in dark brown with red decoration. An unusual feature of each of these leaves is the significant repair to the upper inside corners (i.e., toward the binding, not on the outer edge). 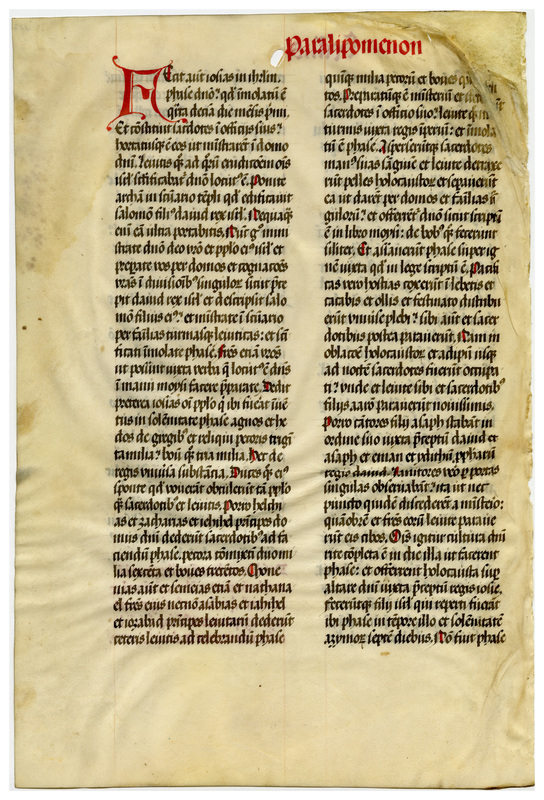 “E0044 Leaf from a Bible (Biblia Sacra Latina, Versio Vulgata),” Digital Exhibits | Denison University Archives & Special Collections, accessed April 23, 2019, http://exhibits.denisonarchives.org/items/show/64.